There is no deeper connection of water with life than through the ocean. Meditation is a state of thoughtless awareness. A time to slow down, rest your mind and thoughts, and achieve a true form of peacefulness. A time to focus on becoming more appreciative and attentive. 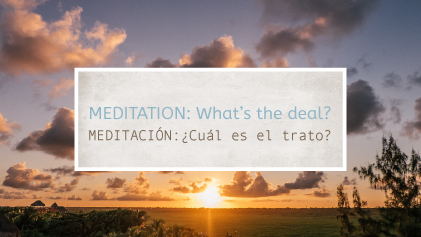 Meditating allows you to experience true happiness as a result of the ultimate peacefulness you – hopefully – attain. The beauty of meditation is there are no set rules! Do what works for you. 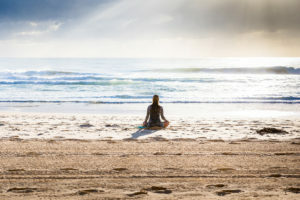 Find focused, attentive, and quiet time to yourself. In the morning, your mind is clear. Achieving a peaceful state of mind, you can carry this clarity with you throughout the rest of your day. 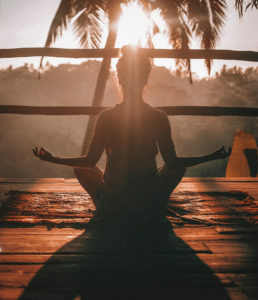 Afternoon meditation relieves any tension built up during the day and helps mentally prepare you to tackle the rest of your day! Meditating in the evening can help you process your thoughts and experiences from the day and prepare you for a peaceful night’s sleep. 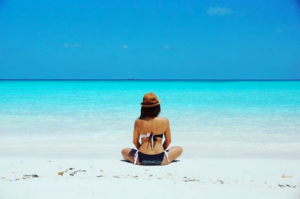 How long should you meditate? You tell us! Do whatever works best for you. Try starting your sessions at 2-3 minutes and working your way up to 10 minute sessions – maybe a little longer or maybe a little shorter – but ehh…who’s counting, right? 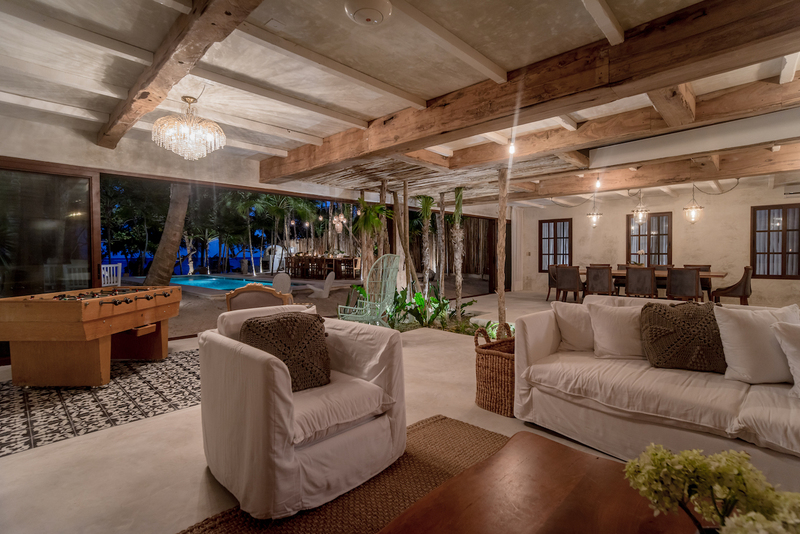 Any of our properties will allow you to experience moments of absolute peace and fusion with nature, a unique space to be with yourself. Enjoy! La Semilla is a philosophy to do everything with pure intentions. This means we must be authentic, everything must be purposeful, and must be of the highest quality. We want to encourage others to stop over-manipulating nature and start embracing its goodness. We believe nature has always held the answers, and we understand the opportunity and responsibility that has been provided to us. To have a healthy future let’s give the planet good energy. The time to make the change is now. 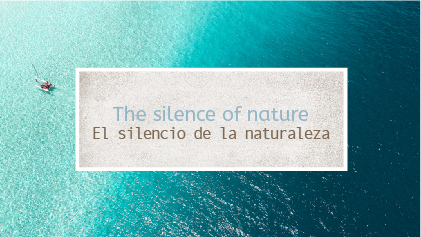 We invite you to join us on our journey to wellness and share the La Semilla Movement with others. You cannot get through a single day without having an impact on the world around you. What you do makes a difference, and you have to decide what kind of difference you want to make. Start small and do your part just by changing your daily habits. To help save the environment, try decreasing energy and water consumption; changing your eating and transportation habits to conserve natural resources; and reducing, reusing, and recycling to be more environmentally friendly. 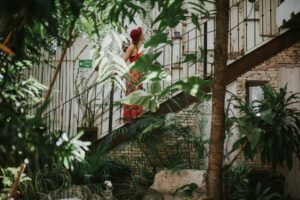 Once you’ve made your own lifestyle more environmentally conscious, help inspire those around you to return to nature and see a more complete vision of what true health really is. YOU hold the key to empowering yourself and inspiring future generations to make positive changes. Live Better. Live Responsibly. Live happy. Be limitless for your passion and dedication. A dream woke us one day. A powerful force for what we were born, so strong that every hour we live, every minute we live, every second we live… keeps us inspired until today. Our dream was sown, a seed that today gives us one of the most gratifying satisfactions of life. Everyone has passion, and everyone can have a dream but only few have the courage and perseverance to turn dreams into reality. All you can do is believe! Believe that this passion that you have will turn into purpose and that purpose will turn into greatness. The humility of working with the heart, having faith in what we want to achieve, and flowing with the positive energy that moves us, is the key to enjoy what we are passionate about. The real connection with genuine gratitude puts us in a positive state immediately. Passion can move a person beyond themselves, without passion life is nothing so we made the decision to work hard and that makes anyone unstoppable, unbreakable. 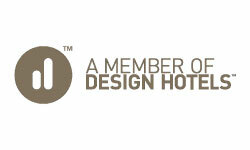 So, we started with La Semilla and today we have become one of the best boutique hotels in Mexico and the world. Teamwork, excellent service, quality in every detail distinguishes us, we create our own style and of course our passion has made us unique. Thanks to our customers for trusting us. Our gratitude to Travel+Leisure Mexico for the recognition and we are in debt to life for allowing us to live our dream every day. Follow your passion and happiness will always remain by your side. Self-love is the first step to any successful relationship and genuine happiness in life. So, today grab your favorite treat, find a cozy spot, and curl up with us as we give you a little seasoned advice on how to put yourself first today and every day. 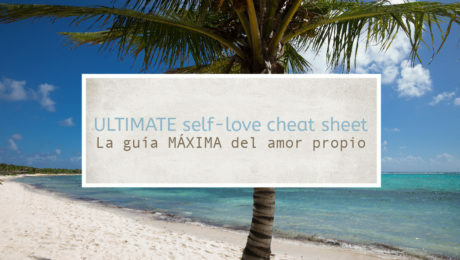 A good way to love and pamper yourself: live La Semilla experience. Reframe your mind to be grateful using positive affirmations. Focus on your amazing talents and the things that make you special person you are. Taking care of yourself means ensuring you are healthy mentally, emotionally, spiritually, and physically. Your body and mind should be treated as temples. Appreciate the beauty around you! Literally stop and smell the sea, the trees, the flowers. 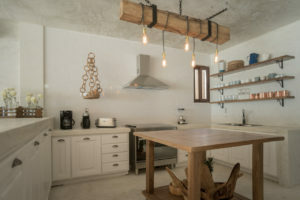 We have everything in our two properties. Sometimes the simple things can make the biggest difference. Why deny yourself your dreams? When you nurture your dreams, you enjoy life more. Live life thinking of the future and all the things you’d love to accomplish one day. This fills your life with more purpose and gives you hope. When you nurture your dreams, every moment is filled with joy because you are expressing yourself fully. 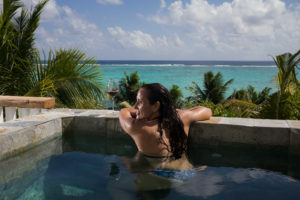 Include Playa & Soliman Bay in your wish list. Be thankful for you and the person you are. Feel a sense of gratitude that you are alive, healthy, and on the path for success. Be patient and stop worrying! Many times situations are beyond your control, so surrender the outcome if you know something is out of your hands. Worry and fear will get you nowhere, so relax and let nature take its course. Have confidence in your abilities and know you are capable of accomplishing anything you put your mind to. Whatever makes you more spiritual, do it. Whether it’s prayer, meditation, journaling, etc., when you spend time growing spiritually, loving yourself becomes automatic. You become more peaceful, connected, kind, and compassionate. When you start to think kindly and positively about yourself, you go from being your biggest critic to your biggest supporter. Make it a habit to praise yourself everyday and be kind. Understand that perfection is unattainable, so don’t sweat the small stuff! No one is perfect and the stress of trying to achieve and maintain perfection is not only rough, but it can eat you up. Take the time to focus on all the wonderful, amazing, positive traits that make you special and unique! Take action and create a beautiful life for yourself. So, as the words best spoken by La Semilla, “Treat yo’self” today. And every day! When you come to Hotel La Semilla in Playa del Carmen, Mexico, you will notice that our property is quite different from the stereotypical atmosphere you may have heard about in Playa del Carmen. 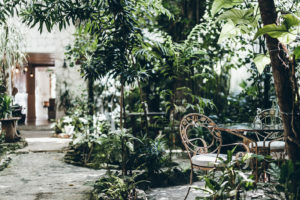 From the first moment that you step foot onto our property you’ll hear the quiet hum of nature: the melodic chirping of birds, babbling water and the breeze through the trees on our garden terrace. 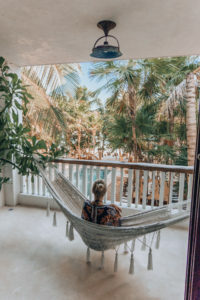 Our guests like to have a certain type of experience in Playa del Carmen, one that is authentic and tranquil—far from the tourist areas that seem to garner more attention than they are worth. 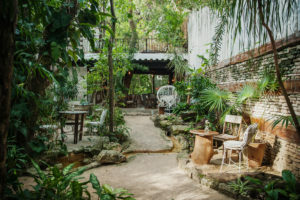 For us, Playa del Carmen is full of subtle beauty and quiet, tucked away corners where you can connect with nature. It is a place with unbelievable beauty and pristine beaches. 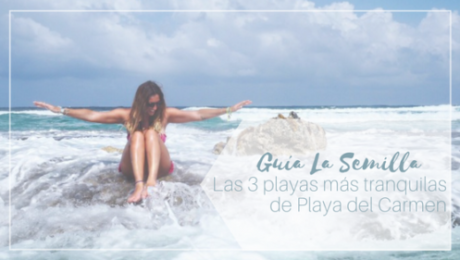 In this post, we would like to share with you our favorite beaches in Playa del Carmen. 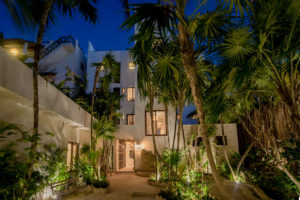 We are partial to more secluded areas with local appeal. This means that most of our choices are far from the main strip and don’t have access to beach clubs or restaurants. 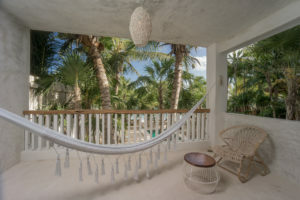 If you are like us, you won’t mind packing a lunch, grabbing a cozy towel, and journeying beyond the most popular spots. 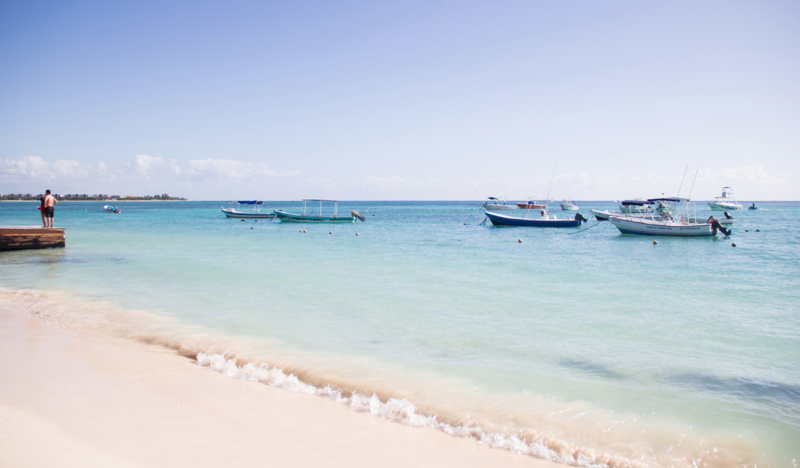 Here are our top 3 recommendations for the quietest beaches in Playa del Carmen. Playa del Carmen beach, Mexico. Pic by @ohhcouture via Instagram. 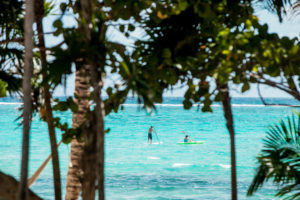 Located at the end of our street, the beach access at Calle 38 is the perfect place to spend the day. Just a 5-minute walk from Hotel la Semilla, you’ll arrive at the beach to discover a popular yet much less crowded stretch of sand. This beach is still convenient as there are a handful of restaurants near the beach entrance. There is also one boutique resort on the beach where you can rent chairs and an umbrella if desired. This beach is a good option if you want a nice balance between accessibility and tranquility. If you continue to walk north towards 48th street, you’ll arrive at Coco Reef. 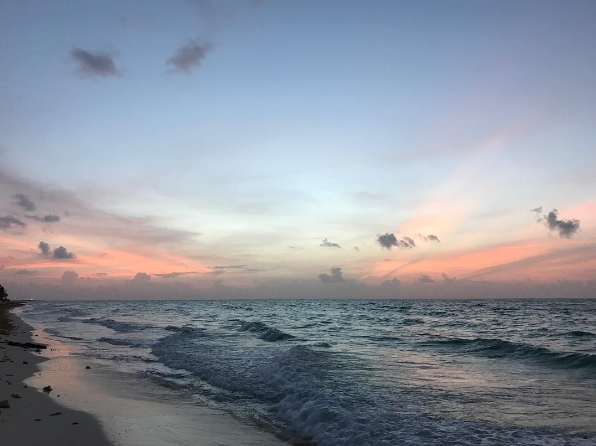 This area and beyond are considered the most secluded beaches in Playa del Carmen. 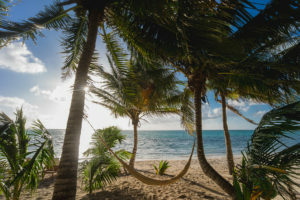 While there are no restaurants, beach clubs, or bars you can enjoy this virtually secluded beach in near privacy save for a few locals and fishing boats that pass by. It is also considered one of the best places to snorkel in Playa del Carmen. Important to note, Coco Reef isn’t easily accessible. The best route is to walk along 5th Ave until you reach 48th street and walk onto the beach from there. The beaches just south of this area have become quite eroded due to natural causes over time, which may make it difficult to walk if you are carrying a lot of things. The beach of Playacar is located within a residential community and is a 10-minute taxi ride from Hotel La Semilla. 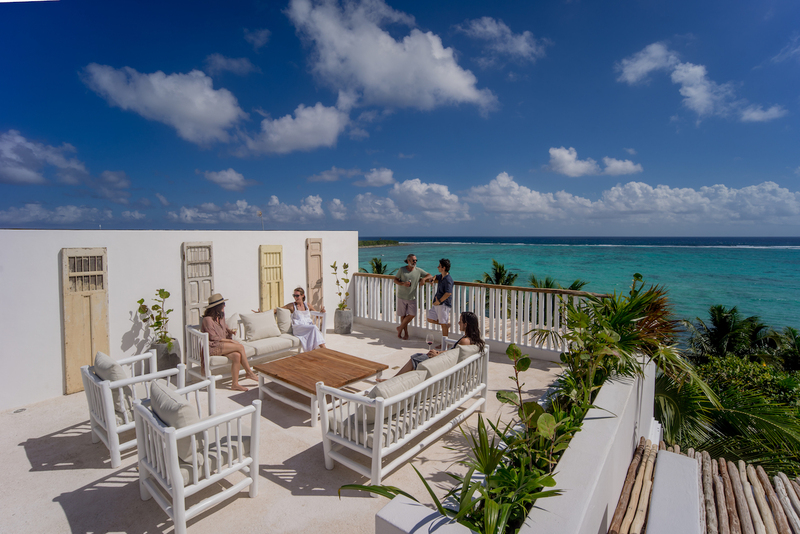 The beach is well kept by the community management and you’ll find that the sea and surrounding areas are unspoiled. There are clusters of palm trees that line the area offering shade, which is nice as the sun gets extremely hot here in Mexico. We suggest getting to this beach early, as the shaded areas tend to fill up with local residents on the weekends. 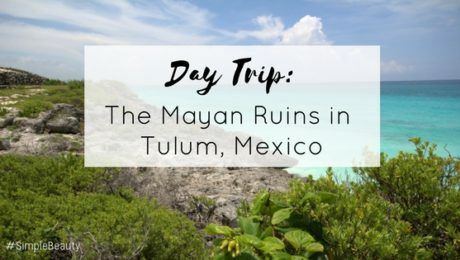 Regardless of where you choose to spend your beach day in Playa del Carmen, we encourage you to find the shores that are off the “beaten path.” There are wonderful things to discover and experiences to have if you allow yourself to explore and get wrapped up in the amazing nature that surrounds us. 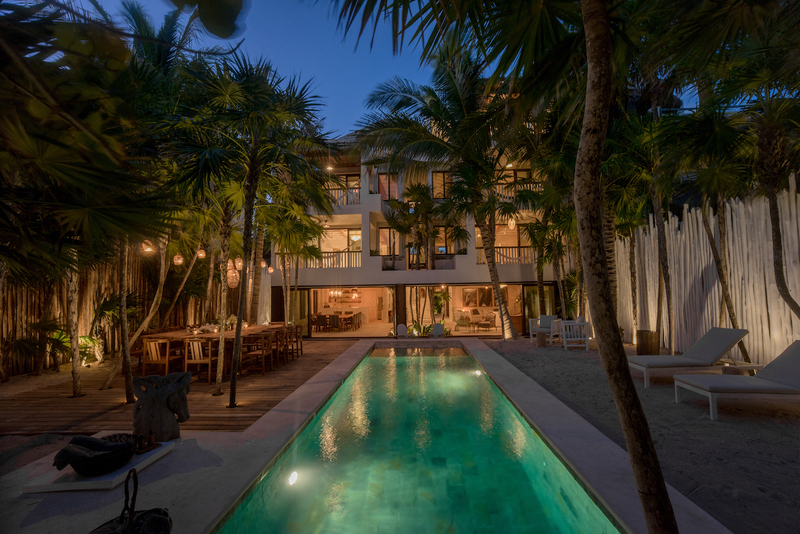 Playa del Carmen is seen as wild escape for party going millennials, while Tulum is positioned as the bohemian mecca for luxe hipsters. 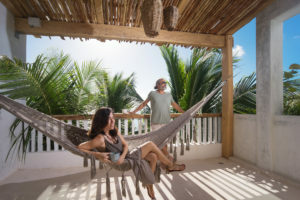 However, after living in Riviera Maya for over a decade, what has become evident is that there is more than meets the eye in both of these exciting destinations. Playa del Carmen is a place where local Mexicans eat, work and live. It is an incredibly vibrant place that has a bad reputation for being a crazy party destination. This couldn’t be further from the truth. Like any popular place, there are crowded areas, tourist traps and a club zone. But if you take the opportunity to step off of the main street, you would discover a town full of culture and diversity. It is a place where locals thrive and business is good. A place that is inclusive and casual. A place where artists paint the streets and can be seen every Thursday showcasing their work during “Art Walk.” This is the town where we live. 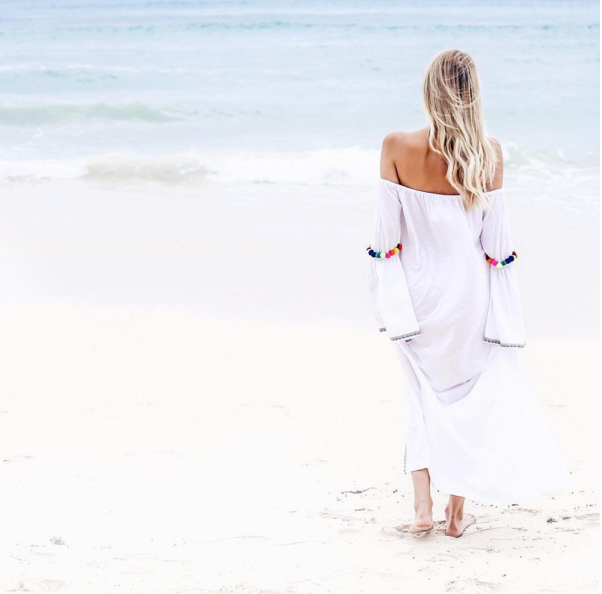 It is the original hippy destination in Mexico where many young local people fled to live their vegan fueled, yoga-bound lifestyles. There is a pulse here that is not about trends but about real life. 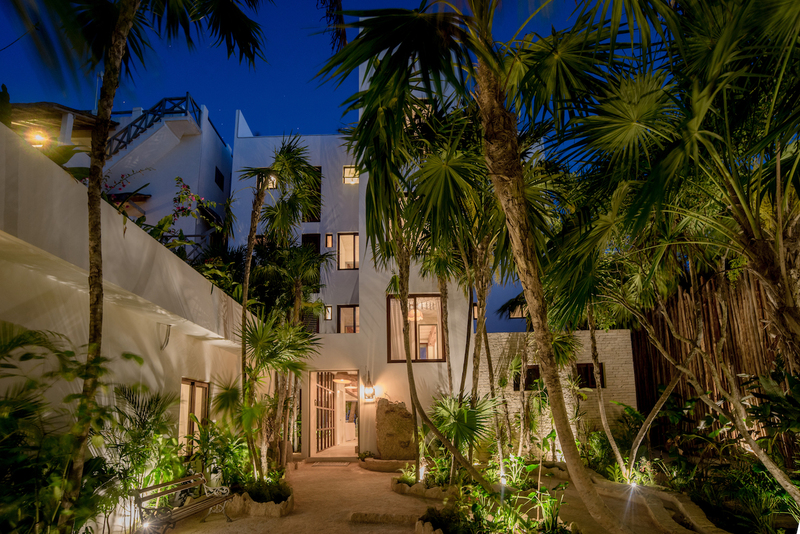 On Calle 38, where Hotel La Semilla is located, we are lucky to be positioned on the quiet, more artistic part of town. As you bike farther up the road, you will soon feel miles away from the crowds and “scene.” Along the water, the landscape gets more wild and the streets quiet. You can feel the local pulse where there are a plethora of small restaurants, local shops and beautiful architecture to discover. 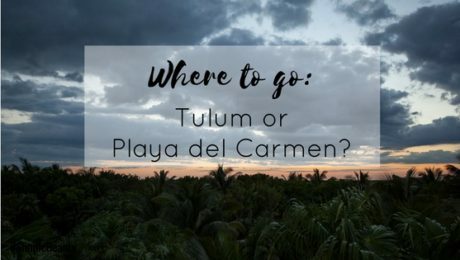 While, Tulum usually gets all the hype these days for being a wonderfully hip and trendy; it is Playa del Carmen where you can actually interact and experience local life and culture. In Tulum, these worlds stay quiet separate. Each destination delivers a different type of experience with equal value. 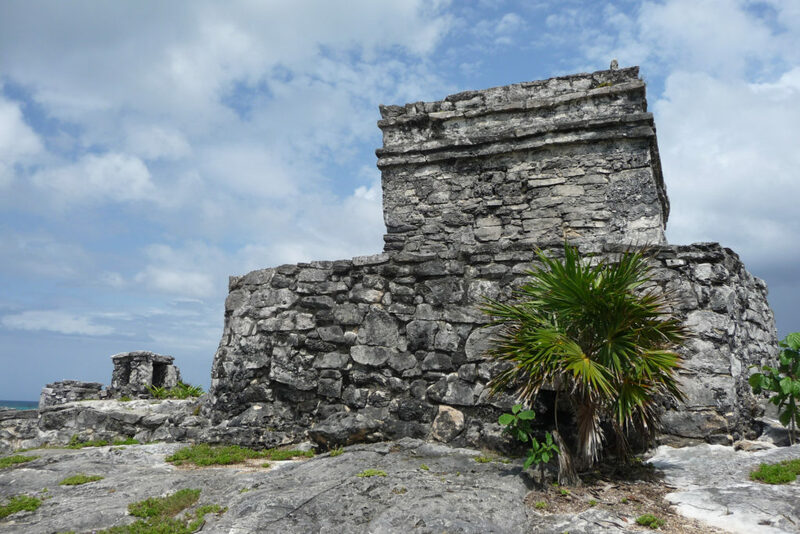 Tulum is certainly the more popular destination for discerning travelers. 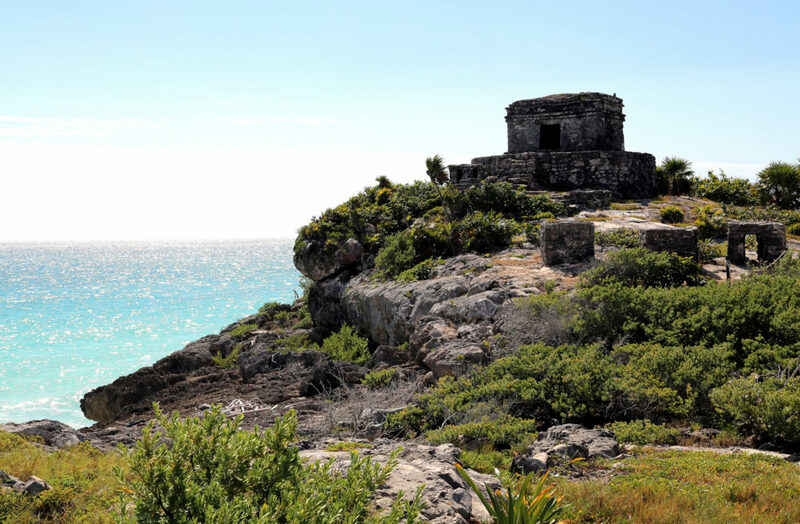 To be in Tulum is to be in a different world. It is charming, exciting and completely exotic. 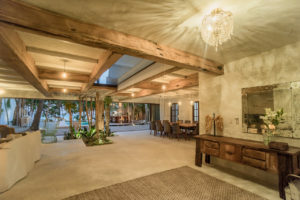 One could argue that it doesn’t have a very strong Mexican feeling, as it is a world created by an international community of artisans and visionaries. Regardless, it is truly unique– but, at times, can be quite expensive. Prices are comparable to New York City in most restaurants, hotels and boutiques. That said, there is no other place like it in the world. Playa del Carmen is somewhat of a paradox. It can be exactly what you expect and it can be something entirely different. 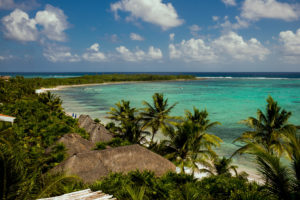 Playa is a wonderful destination for travelers who want to dig deeper. Those who want to make an effort to understand Mexico and the people that make it wonderful. You can sit side-by-side with local people eating their cherished, traditional food. You can speak to them about their lives and their experiences. This you cannot find in Tulum in a genuine way as frequently. That said, one cannot deny that the tourist areas of Playa are very touristy. The clubs are very “club-y” and the peddlers on the street are very vocal along the main tourist areas. 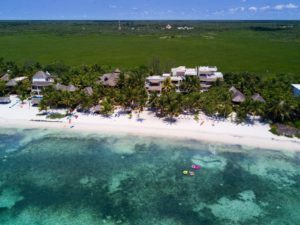 We encourage you to look elsewhere and make an effort to see the glimpse of Playa that we see and, hopefully, gain an understanding of the locals living here. There is beauty in that. A truly holistic experience would touch upon these two places. 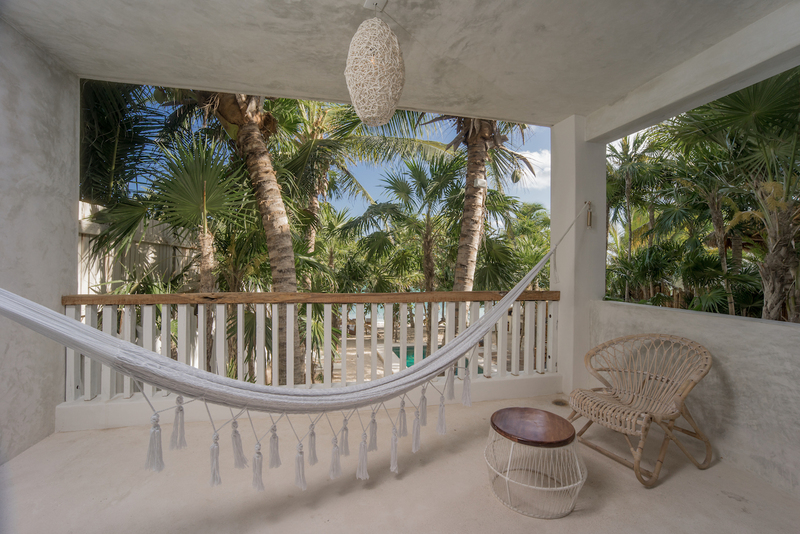 We are lucky to have properties in both locations and have many guests who split their time between Playa del Carmen and Tulum during their vacation. The choice is yours. Travelers looking for help deciding where to go are always welcome to send us a note. We would be happy to help make your decision a little easier (if your time is limited). Either way, Mexico is an unbelievable place filled with wonderful people and extraordinary food. 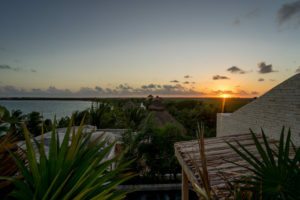 We hope that all guests visiting our fine country takes the time to appreciate this place in a deeper way all the gifts Mexico has to offer which will enrich your mind, spirit and belly. A very significant moment has arrived. 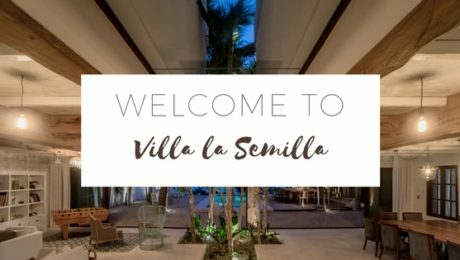 This past weekend, we welcomed our family, friends and community to the unveiling of our next project, Villa La Semilla. This beachfront rental home has been a passion project for us and we are thrilled to finally share the fruits of our labor. 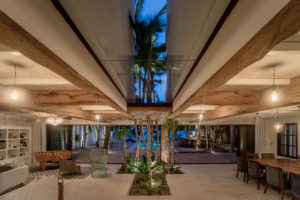 From it’s inception, Villa La Semilla was meant to be a place for connection and inspiration. We hope that families and groups of friends come to our home ready to rekindle a curiosity and love for each other and nature. 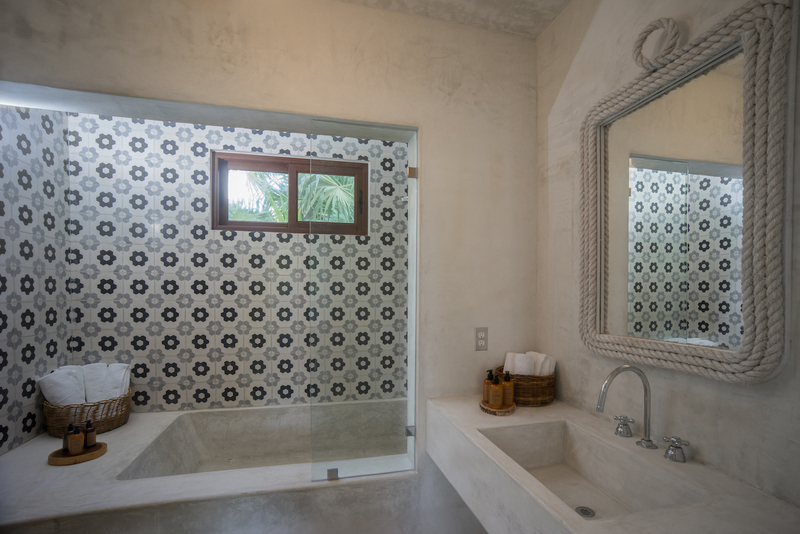 In the design of the Villa, we personally hand-picked every detail from the spoons in the kitchen, to the window treatments and patterned tiles. We scoured antique shops, auctions and flea markets to create the perfect atmosphere for our guests. We welcome you to enjoy this first round of photos from the Villa. 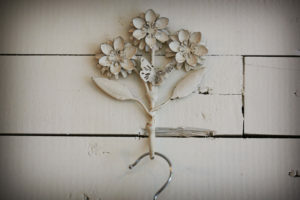 We are excited to welcome you into our home and hope that you find our space to be exciting, familiar and nurturing. For more photos updated daily, follow us on Instagram.